At Moorhill, we offer a wide range of clubs for children to attend after school. On Key Stage Two, pupils can sign up to a morning Sports Club. This is run by professional coaches and starts at 8am each morning. The club takes place either on the playground or in the hall, depending on the weather. We are committed to providing pupils with competitive sporting activities, where they can apply skills that have been developed in P.E. and Games lessons. To find out about recent competitions and tournaments, please go to the ‘Parents’ section of our site and look for the sports link on the left hand side of the page. We are always pleased to hear about any sporting achievements outside school hours – if your child belongs to a club and has had any recent successes, we’d love to hear about it so that we can celebrate and share your child’s achievements. We are pleased to welcome peripatetic music teachers into our school this year, to widen the range of instruments available to your children. Drum, piano, flute and guitar lessons will all take place for those junior children who have expressed an interest. In addition to our class music lessons and school hymn practices, pupils will be able to sign up to our school choir on Key Stage Two. 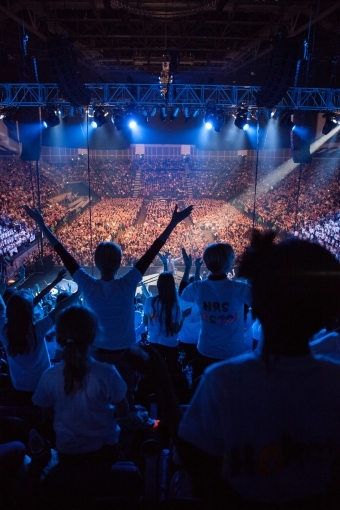 This is an after shcool club and proved highly successful last year, taking part in the ‘Young Voices’ event in Birmingham, as well as singing in the local community.